Quick (mostly) relevant story: I had always loved the fiddle, and always wanted to learn how to play it. 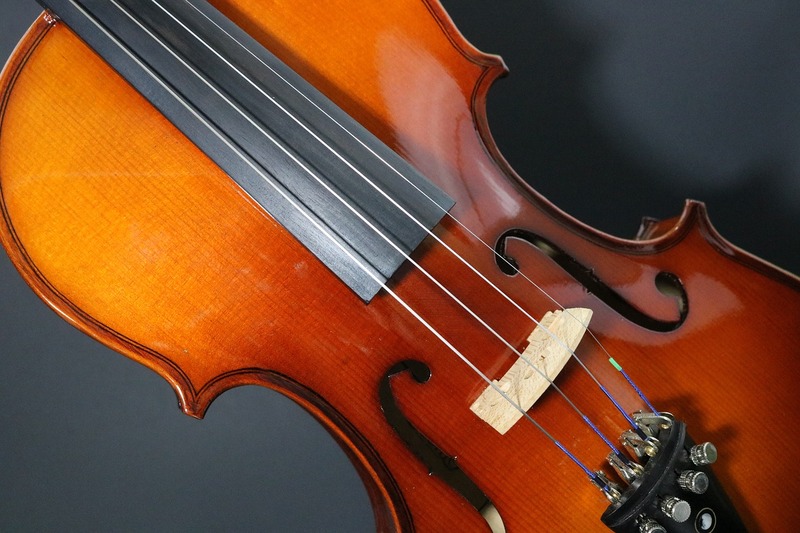 Stories loomed about how difficult an instrument it was to learn. Several of my musician friends had tried and failed. But I was determined. How I else was I going to distract myself from practicing all those other instruments I bought? So, learn the fiddle I did. After a few false starts, I finally got over the beginner’s hump, and the thing sounded less and less like a cat being tortured each and every day. I was making progress. Now, for those who have never tried to play the fiddle, the way one has to contort oneself in order to play this instrument is quite a circus show, indeed. The bowing arm needs to go back and forth to two extreme positions while maintaining a straight bow. The left arm needs to be cocked under to give the fretting fingers an advantageous position. And all the while, the head needs to turn to the left to help balance the instrument so it doesn’t fall to the floor. 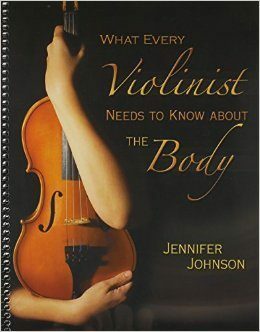 No wonder so many musicians give up on the fiddle. Now, the relevant part of the story: I suffered an injury. My left hand and wrist began to spasm, and I was in a lot of pain, and couldn’t play. Any of my instruments. All of the logical questions went through my mind: Was this the dreaded carpal tunnel syndrome? Or worse, focal dystonia? Were my playing days over? Had I done irreparable damage? I saw doctors, chiropractors, massage therapists, and no one had the right answer for me. Finally, a musician friend suggested I take a lesson in the Alexander Technique, that perhaps there was an issue with the way I was playing which was injurious. Boy, was he right. F.M. Alexander was an actor and orator. His career was put on hold, though, when he began to lose his voice in the middle of a performance. He sought to understand the reasons why this was happening. After much research and study, he developed a theory that the main cause of his injuries - and the injuries of other actors, performers, dancers, musicians, and, later, everyday individuals - was the excess tension caused by the misalignment of our 10 pound heads on top of our bodies. His ideas caught on, and were eventually codified into The Alexander Technique. -Teach Yourself The Alexander Technique. Many Alexander Technique teachers also use a related Somatic study, ﻿﻿﻿Body Mapping﻿﻿﻿, to help their students understand relevant anatomy in a very practical way. My teacher explained that one common theme in all Somatic studies is that we ask ourselves questions about our body, that we should seek the anatomical truth so that we work with our body, not against it. Miraculously, almost as soon as I discovered where the wrist was, and what the wrist was, my pain went away. I was beginning to correct my Body Map. We all have a “map” in our brain which tells us how the body is organized according to structure, function, location, and size. If the map is correct, our movement is graceful and carefree. If the map is incorrect, we move according to our map, rather than anatomy. This is often injurious. But, the good news is that we can always correct our map by finding the anatomical truth. I invite you to query yourself: Where is your wrist? What is your wrist? Many individuals have a sense that the wrist is the joint between the hand and the arm. This couldn’t be further from the truth. Let’s look at a skeletal representation to give us some ﻿insights﻿ into the wrist. As you can see, the wrist is a collection of 8 separate bones that move beautifully with each other if mapped properly. To find your wrist, let’s use the end of the ulna as our guide. The end of the ulna is the bump that protrudes from your arm. If we move up slightly, the wrist occupies about two fingers’ worth of space. The wrist moves three ways: up and down, side﻿ ﻿to side, and in a circle, both ways. Notice, also, that the palm of our ﻿hand﻿ is actually part of the wrist. 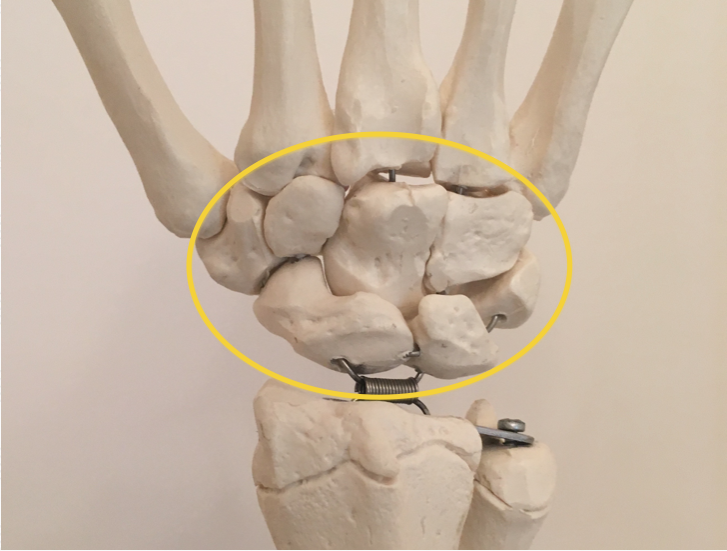 If we don’t really know where or what the wrist is, or, for that matter, know how it functions in movement, we’ll never really use it to its fullest extent. We’ll move, instead, from some nebulous place that is not a joint. 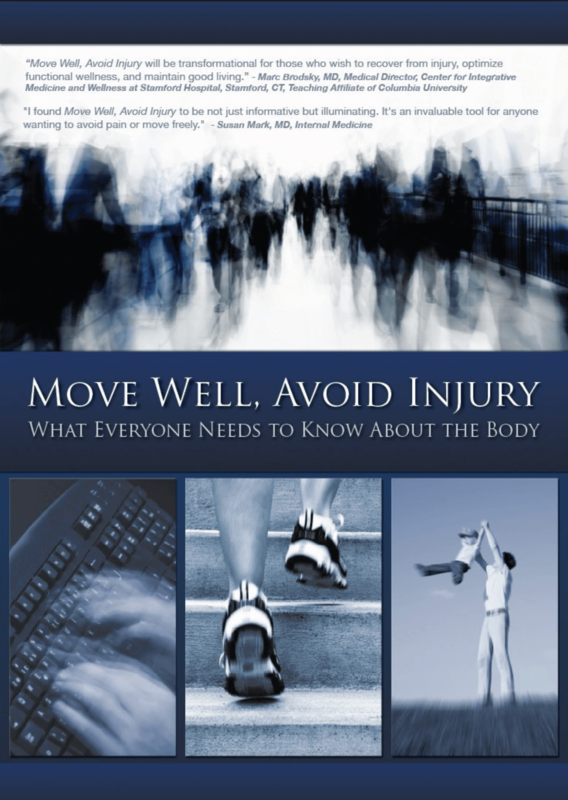 This causes our muscles to compensate for this kink in the system, so to speak, which in turn causes us fatigue, and eventually, is the source of our pain and injury. By practicing small movements, we can slowly regain control of our wrist, and move according to our natural design. Touch is a powerful way to guide our healing and promote an accurate body map. By placing our fingers at various joints, and joint combinations, and moving our hands in free-flowing, continuous space, we can, in a way, practice our everyday life movements, and retrain our brain to accept the reality of our new body map. Constructive Rest is a particularly effective time to do such work. 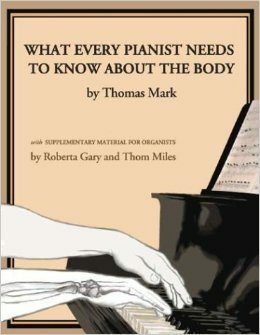 Greater control of our wrist, and our bodies in general, allows us to move our hands more freely in our music making. Strumming the guitar...bowing a violin...playing the piano...all of ﻿our﻿ movements become so much easier. The wrist epiphany was so profound that I wondered what other ways I had mismapped my body. Could this be the cause of my tense neck when driving? How about the dull, persistent lower back pain? What about my inability to throw a frisbee or do a decent push-up? What about the glass ceiling on speed I always felt when playing the piano? The answer is yes, yes, and yes. 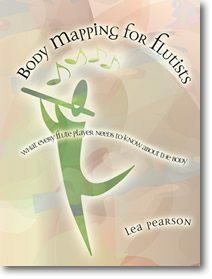 Andover Educators is an organization that promotes healthy music making through the study of Body Mapping. 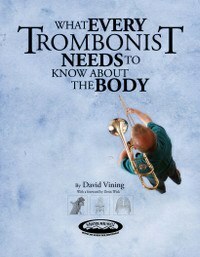 They have a catalog of books and DVDs to assist the musician in recovering from injury, or regaining ease of movement while making music. 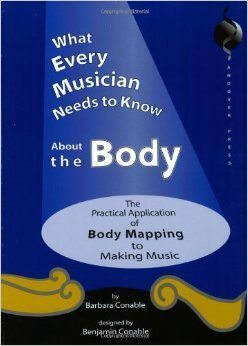 Though not necessarily aimed at musicians, this DVD is The Bible of Body Mapping. 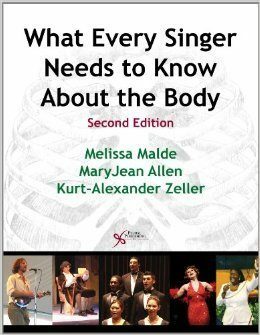 With chapters on each part and function of the body, this fascinating multi-media presentation will give you much to think about as you move on a daily basis. Here are some useful excerpts from the DVD. 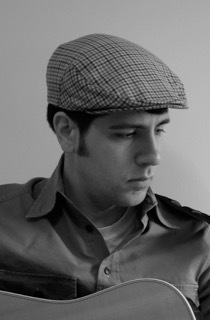 Andrew Mullen is a teacher, folk musician, multi-instrumentalist, song-writer, and lifelong learner. He has taught all levels of students in a number of subjects, and is currently a middle school teacher and curriculum coach in Burlington, Massachusetts. Mr Mullen holds Masters degrees in Music Education and School Administration, as well as certification from the Gordon Institute of Music Learning (GIML) in Elementary General and Early Childhood Music. He is currently entertaining Doctoral scholarships.